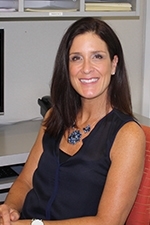 My name is Liz Schupler, and I am delighted to be a part of Dr. Gellerman’s team. I have been a resident of the Cold Spring Harbor/Huntington area for 19 years. As luck would have it, in January 2018, an opportunity came my way to work with Dr. Gellerman and ever since, I have been continually amazed by the warmth of the staff, the amazing patients and Dr. Gellerman’s community involvement and philanthropy. Coming to work is like spending the day with family. On the days I’m not here, I enjoy spending time with my amazing husband, five kids and two ENORMOUS dogs. If you are a working parent, you spend more hours with coworkers than you do at home. One of the wonderful things about Dr. Gellerman’s office is that I am working with a great family. Fortunately for me, the staff and patients are outstanding. My name is Daniela. I started working for Dr. Gellerman in August 2008. I got to know the staff in the first few months and became good friends with all of them. They taught me what I still know today. Since this is a new field to me, every working day is a learning experience. I’m very thankful to be a part of Dr. Gellerman’s team. It’s a friendly environment as much as it is professional. The doctor gives us the opportunity to share our ideas to improve the company, which is something that I never experienced in any previous jobs. I think this is a great way of making us feel like a family. 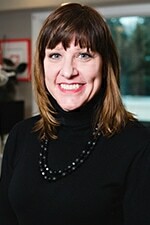 My name is Carrie and I am happy to be part of Dr. Gellerman’s team. My path to this wonderful office started in 2007, when my daughters were ready to embark on their orthodontic journey. We were instantly put at ease when we met Dr. Gellerman and her kind, professional staff. I knew we were in good hands. Every time I walked through the door, I was welcomed with a smile. As a result of my daughter’s Spectacular Smile, I made the decision to get braces myself, with wonderful success. I now smile with confidence. During my visits I realized that this was the fun and friendly office environment I wanted to work in. I am thrilled to say I am now part of the Gellerman team and look forward to meeting each and every one of you! Hello! My name is Patricia and I started working for Dr. Gellerman as a dental assistant in 2006. I graduated from Farmingdale State College in 2009 with a degree in dental hygiene. I love working with Dr. Gellerman in the orthodontic field. I have made amazing connections with coworkers and many of our wonderful patients. In my spare time I enjoy reading, shopping, and hanging out with family and friends. 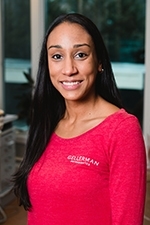 Hello my name is Yomaira and I am honored to be a part of Dr Gellerman’s team! 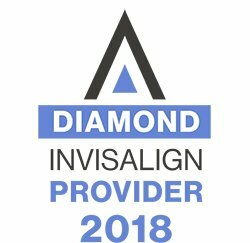 I graduated from Briarcliff College with a degree in dental hygiene in May 2015 and one of my favorite things about being a part of the Spectacular Smiles team is helping patients achieve fantastic results. It’s so rewarding! I have a wonderful husband and two terrific kids and when I’m not working, we enjoy spending family time together. I love to travel and eat out at different restaurants. My name is Veronica, and I joined Gellerman Orthodontics in 2014. I love working with such a talented, helpful, and professional team, and I’m excited about tackling new challenges every day. Being part of this spectacular team is a great learning opportunity for me, because of the state-of-the-art technology this office offers our patients. 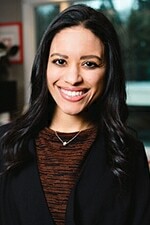 My professional goal is to connect with our patients and show them the best possible experience during each and every visit. When I’m not in the office, I enjoy traveling, playing volleyball, and spending time with my wonderful family. 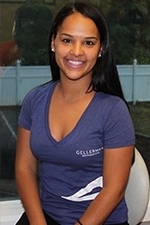 I joined Gellerman Orthodontics several months after my sister Estela became a member of the team. I’m so excited to be a part of a busy practice where everyone shares my dedication to go above and beyond when it comes to taking care of patients. I’m a proud mom of a wonderful boy and girl, and I love coming to work and knowing that my sister and I are part of such a great team. It’s unusual to find an office where there are so many family members, and that’s part of why patients so often tell us that coming to Gellerman Orthodontics feels like visiting a family! My name is Estela and I first joined my Spectacular Family in 2013. I took a little break to start my family, but after my second child was born, I was very eager to come back to work. I love being part of patient’s transformations. It always amazes me how Dr. Gellerman utilizes the latest technology and her knowledge to create such beautiful life-changing smiles. A big part of why I love working at Gellerman Orthodontics is the extraordinary team of people. The best way I can put it: work doesn’t feel like work, it feels like coming to spend the day with my family. I would trust my family’s smile in their hands! My name is Karen and I am so excited to be a part of the Gellerman Orthodontics team. I have been working in dentistry my entire adult life and have learned that in addition to quality, detail, and integrity, there must be a genuine and warm connection with patients. It is such a great feeling to be part of an environment that encompasses all of these traits and also feels like home. The most satisfying part of my day is to be able to help our patients achieve their perfect smile while standing beside such a caring and cohesive team. 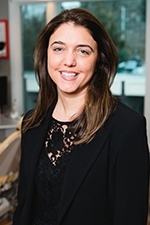 Hello, my name is Joanna Koelmel and I started working at Dr. Gellerman’s office in November of 2018. Both of my children were patients prior to that so I was familiar with the practice. As a resident of Huntington for over 10 years, when it came to choosing an orthodontist everyone one I spoke to recommended Dr. Gellerman! The office is made up of warm, loving people whose mission is to make all of our patients feel cared for, without exception. I feel lucky to now be part of the team and enjoy coming to work each and every day. When I’m not working, I enjoy reading, cooking and taking vacations with my family. Hi! My name is Kerrie and I started at Gellerman Orthodontics in September 2018. I grew up in Huntington and had always heard fantastic things about Dr. Gellerman. I came into the job brand new to this field and with the help of this amazing team, I have quickly learned so much! Our working environment is so much fun and it really is like a family. I love seeing and interacting with all our patients as they come into our office. When I’m not here, I am a fitness instructor and a professional dancer in New York City.